Holy cow, I think I just died and went to color nerd heaven! This morning I stumbled across Color Cord Company, an outfit that sells all the materials needed for making some captivatingly colorful pattern-pretty pendant lamps (say that five times fast!). I have been dreaming of adding some hanging lights to a dark corner of our apartment—above our dining table—and I think this discovery just sealed the deal. Not only do they seem to have every style, color and pattern of cord under the sun, they also sell socket covers and shades in all different hues and sizes. All for what seem to be reasonable prices! 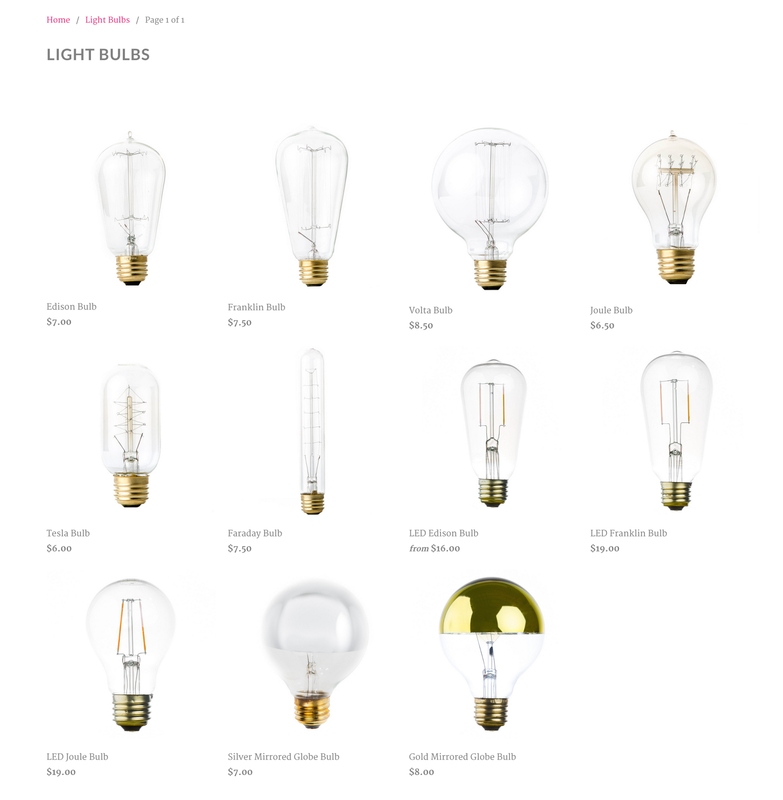 They even sell super cool bulbs! What?! Mind blown.If you feel like a bulb just went on in your head (see what I did there?) 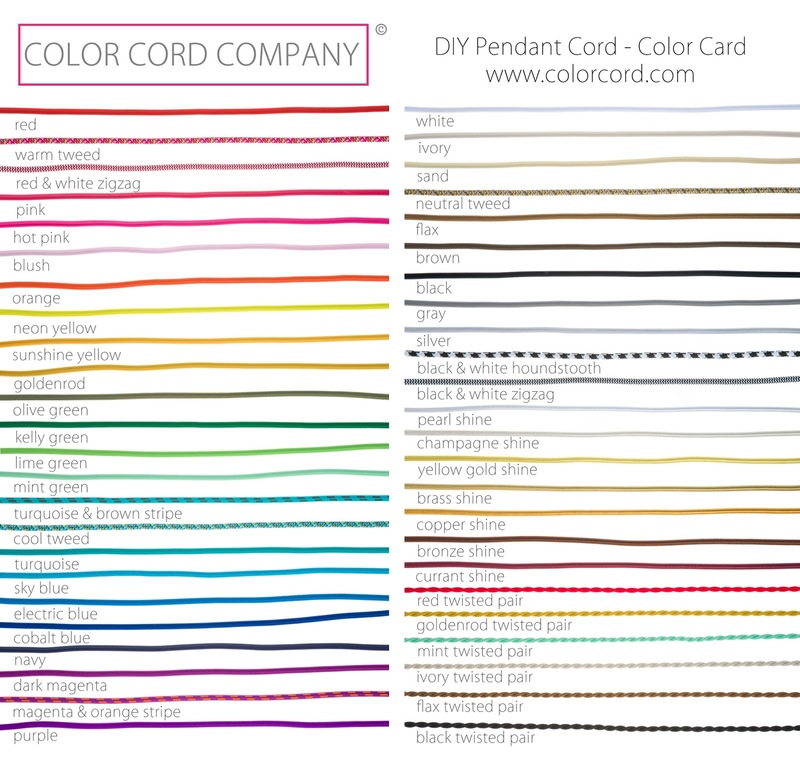 check out the Color Cord Company website here.